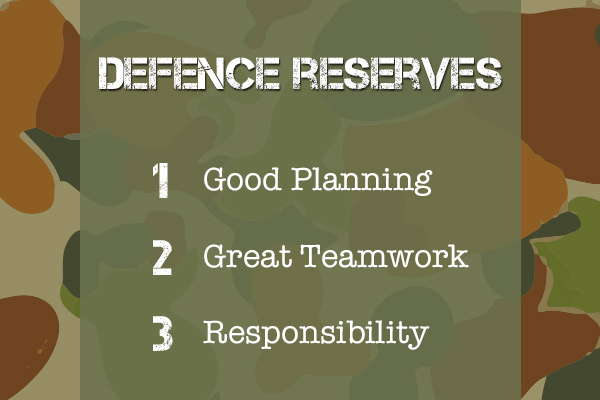 Why would you as an employer want a Defence Reservist as part of your organisation? Gill Rees, executive general manager of HR at Bankwest outlined in an article on HCA Mag why he believes reservists are a value to his company. When considering a new candidate, how important are the above 3 attributes to your organisation? Rees points out that when considering a new candidate for a position, a Defence Reservist provides an indication of what they will be like in the workplace. Based on their ability to plan ahead, work within a team structure and assume responsibility, Rees says Defence reservists fit very comfortably into Bankwest’s corporate culture.